What type of Resurrection will you get? Glorious Rapture New Body or Living dead Zombie? JESUS is COMING with a SHOUT! and they that hear shall live." and their foolish heart was darkened." God Bless You in our SAVIOUR AND LORD JESUS CHRIST. into [HELL?] belly of Earth! This Earth will have no more sea! spins faster if it becomes more compact about its spin axis. This skater starts a spin with outstretched arms. Then, as she pulls her arms in near her spin axis, she spins so fast she becomes a blur. Gravity tries to make the earth as compact and round as possible. Earthquakes cause the earth to become more compact and spin slightly faster. at least until we arrive at the time the out-of-balance condition arose. 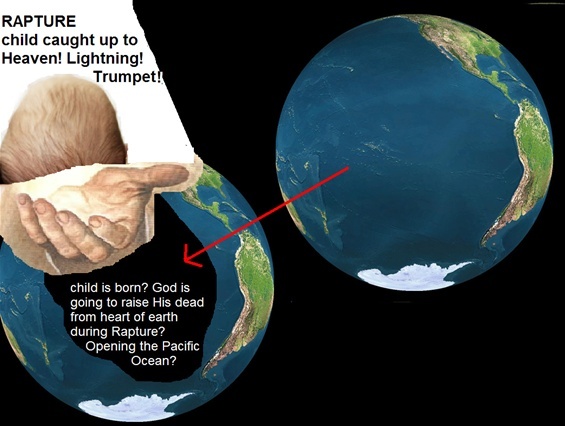 Earth OPEN...RAPTURE[bring forth salvation&RIGHTEOUSNESS SPRING UP]? Noise of the sea...heard worldwide? Rapture from Depths of the sea? Waters from the SEA fail and DRIED UP? Job 14:12 So man lieth down, and riseth not: till the heavensbeno more, they shall not awake, nor be raised[Rapture?] out of their sleep. Job 14:13 O that thou wouldest hide me in the grave, that thou wouldest keep me secret[Space Ark? ], until thy wrath[Tribulation] be past, that thou wouldest appoint me a set time, and remember me! Job 14:14 If a man die, shall he live again? all the days of my appointed time will I wait, till my change[Rapture] come. Job 14:15 Thou shalt call[Trumpet Shout of JESUS CHRIST], and I will answer thee: thou wilt have a desire to the work of thine hands. that the nations may tremble at thy presence!" RAPTURE Chapter found in Psalm 51? 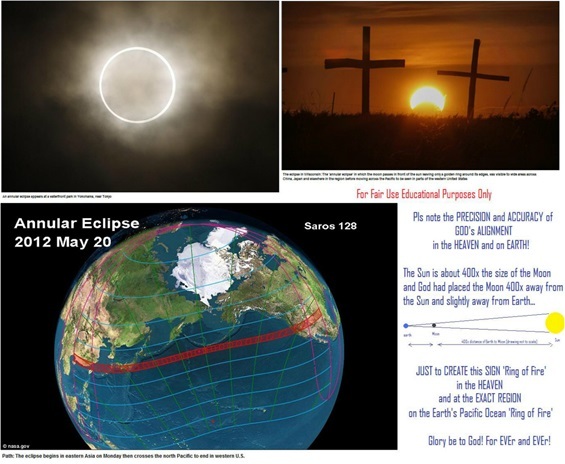 Isaiah 51:6 Lift up your eyes to the heavens, and look upon the earth beneath: for the heavens shall vanish away like smoke[Revelation 6th seal event? ], and the earth shall wax old like a garment, and they that dwell therein shall die in like manner: but my salvation shall be for ever, and my righteousness shall not be abolished. Isaiah 51:9 Awake, awake, put on strength, O arm of the LORD; awake, as in the ancient days, in the generations of old. 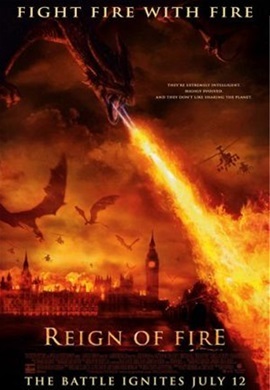 Art thou not it that hath cut Rahab, andwounded the dragon[satan]? Isaiah 51:10 Art thou not it which hath dried the sea, the waters of the great deep; that hath made the depths of thesea a way for the ransomed[RAPTURED] to pass over? Isaiah 51:11 Therefore the redeemed[Raptured] of the LORD shall return, and come with singing unto Zion; and everlasting joyshall be upon their head: they shall obtain gladness and joy; andsorrow and mourning shall flee away. RAPTURE Chapter found in 2 Samuel 22? 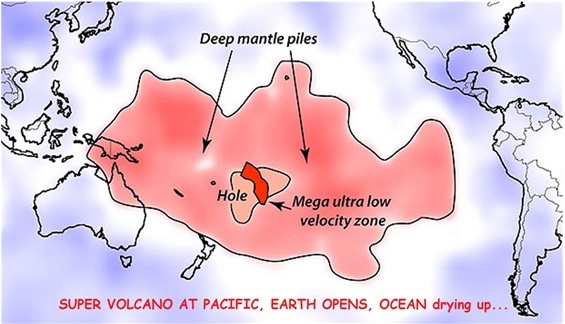 2 Samuel 22:8 Then the earth shook and trembled[Great Earthquake of Revelation]; the foundations of heaven movedand shook[Haggai&Revelation 6th seal event], because he was wroth. 2 Samuel 22:12 And he made darkness[dwarfstar seen as BLACKHOLE] pavilions round about him, dark waters, and thick clouds of the skies. 2 Samuel 22:14 The LORD thundered from heaven[Shout of Archangel], and the most High uttered his voice. 2 Samuel 22:16 And the channels of the sea[sea divided?] appeared, the foundations of the world were discovered, at the rebuking of the LORD, at the blast of the breath of his nostrils. 2 Samuel 22:18 He delivered me from my strong enemy[devil],and from them that hated me: for they were too strong for me. 2 Samuel 22:20 He brought me forth also into a large place[SPACE ARK? ]: he delivered me, because he delighted in me. 2 Samuel 22:21 The LORD rewarded meaccording tomy righteousness:[condition to enter HOLY CITY?] according to the cleanness of my hands hath he recompensed me. 2 Samuel 22:26 With the merciful thou wilt shew thyself merciful, andwith the upright man thou wilt shew thyself upright. because there is no water, and dieth for thirst. and sorrow and mourning shall flee away. there did we rejoice in Him[GOD]." and thy [your.singular] house (family) ." until the day and night come to an end." "He[God] bindeth the floods from overflowing; and the thing that is hid bringeth He forth to light." "Who laid the foundations of the earth, that it should not be removed for ever. He watereth the hills from His chambers: the earth is satisfied with the fruit of thy works." "Who hath ascended up into heaven, or descended? who hath gathered the wind in His fists? who hath bound the waters in a garment? 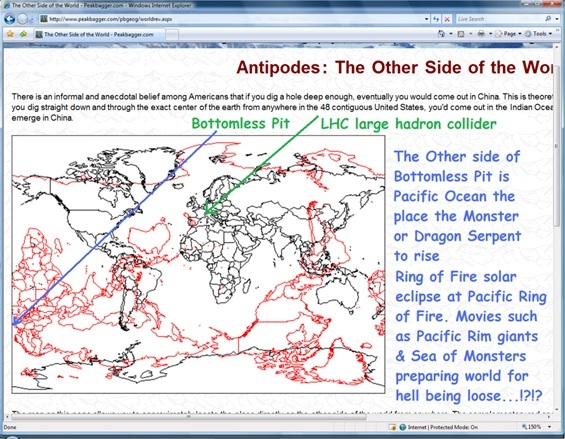 who hath established all the ends of the earth? what is His name, and what is His son's name, if thou canst tell?" "Fear ye not me? saith the LORD: will ye not tremble at my presence, which have placed the sand for the bound of the sea by a perpetual decree, that it cannot pass it: and though the waves thereof toss themselves, yet can they not prevail; though they roar, yet can they not pass over it?" "And I will establish my covenant with you; neither shall all flesh be cut off any more by the waters of a flood; neither shall there any more be a flood to destroy the earth...And I will remember my covenant, which is between me and you and every living creature of all flesh; and the waters shall no more become a flood to destroy all flesh." "But the heavens and the earth, which are now, by the same word are kept in store, reserved unto fire against the day of judgment and perdition of ungodly men." 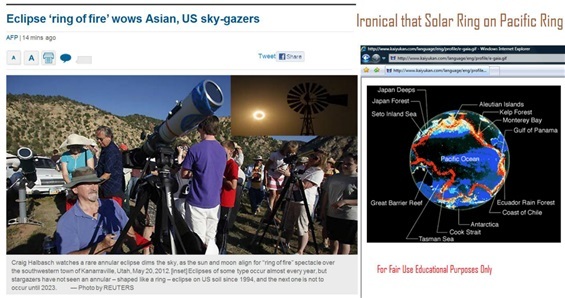 Last Year May 2012 "Ring of Fire" Solar Eclipse occurred and another Solar Eclipse at Pacific "Ring of Fire" in Nov 2012. 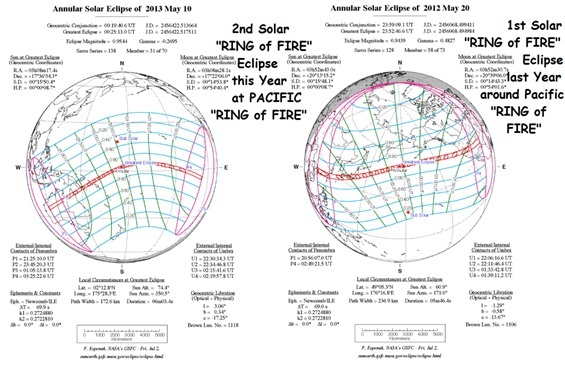 This Year May 2013 "Ring of Fire" Solar Eclipse directly at Pacific "RING OF FIRE"!!! notice the similarities between Kuratas and the Above Robot? 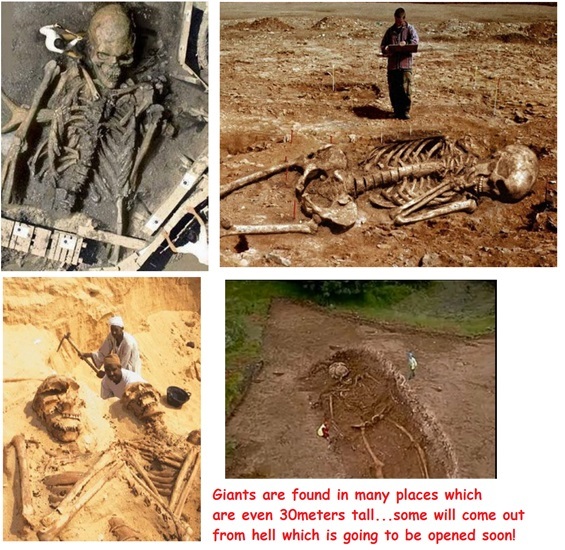 Numbers 13:33 "And there we saw the giants, the sons of Anak, which come of the giants: and we were in our own sight as grasshoppers, and so we were in their sight." (That also was accounted a land of giants: giants dwelt therein in old time; and the Ammonites call them Zamzummims;"
And the rest of Gilead, and all Bashan, being the kingdom of Og, gave I unto the half tribe of Manasseh; all the region of Argob, with all Bashan, which was called the land of giants." Joshua 12:4 "And the coast of Og king of Bashan, which was of the remnant of the giants, that dwelt at Ashtaroth and at Edrei,"
Joshua 13:12 "All the kingdom of Og in Bashan, which reigned in Ashtaroth and in Edrei, who remained of the remnant of the giants: for these did Moses smite, and cast them out." Joshua 15:8 "And the border went up by the valley of the son of Hinnom unto the south side of the Jebusite; the same is Jerusalem: and the border went up to the top of the mountain that lieth before the valley of Hinnom westward, which is at the end of the valley of the giants northward:"
Joshua 17:15 "And Joshua answered them, If thou be a great people, then get thee up to the wood country, and cut down for thyself there in the land of the Perizzites and of the giants, if mount Ephraim be too narrow for thee." Joshua 18:16 "And the border came down to the end of the mountain that lieth before the valley of the son of Hinnom, and which is in the valley of the giants on the north, and descended to the valley of Hinnom, to the side of Jebusi on the south, and descended to Enrogel,"
JESUS CHRIST WILL WIN THE WAR AGAINST THE GIANTS AND ZOMBIES! Satan showing himself as trainable...cute. Deceiving this world. and his angels were cast out with him." which had the wound by a sword, and did live." 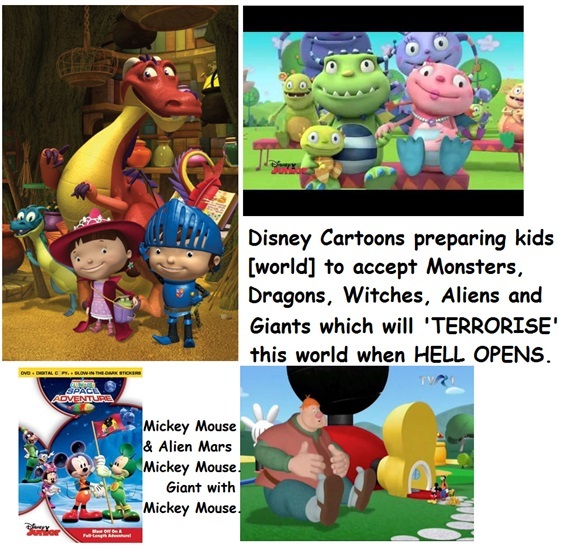 for by thy sorceries were all nations deceived." with which he deceived them that had received the mark of the beast, and them that worshipped his image. These both were cast alive into a lake of fire burning with brimstone." and shall be tormented day and night for ever and ever." 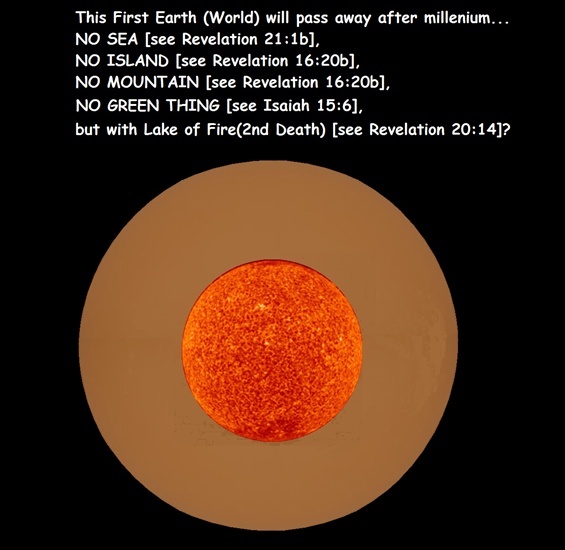 This EARTH(World) becomes HELL[2nd DEATH, LAKE OF FIRE] NO SEA, NO ISLAND, NO MOUNTAIN, NO GREEN THING for ever and ever. someone asked why a loving God would send people to hell. all problems of this world is due to SIN with destroys LIFE. God gives LIFE and God takes LIFE. FAIR. HOLY. JUST. so THE Creator CAN answer ANYONE HE created. death is a WAY to stop SIN. But thanks be to God because HE had a WAY to Redeem all His creation which is by dying for all SINs by HE Himself. He is come to create a NEW Heaven and New Earth. NEW THINGS. former things no more. Revelation:21:4: "And God shall wipe away all tears from their eyes; and there shall be no more death, neither sorrow, nor crying, neither shall there be any more pain: for the former things are passed away"
Isaiah:65:17: "For, behold, I create new heavens and a new earth: and the former shall not be remembered, nor come into mind." pls note this earth was given only 7Days==7000years and will become hell for ever..
that earth which is to come is earth2/earthtwin/new earth is already inside our solar system's mercury orbit pls see youtube miketan7churches real crystal clear video of red dwarf...mercury orbit. God created third part of the angels without love so that these became the devils to torture humans. 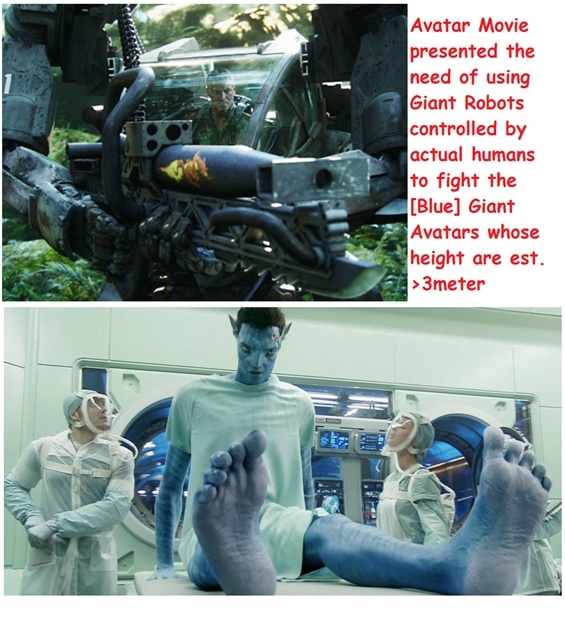 these angelic beings are like servers created to serve humans[personal computers] but fallen to hell due to envy and hatred of humans. thank God before the 1st human[adam] sinned...God backuped the perfect image in the woman. therefore the only saviour is of the woman and not from 1st adam. EVE was the name given by adam only after God's judgment and EVE means 'mother of the living'. For EVE is for EVEr who BE.li.EVE in the seed of woman. Jesus Christ's Blood has 23x-1y chromosomes found...Its still alive and powerful to cleanse all human's sins for EVEr. God is JUST and has to punish SINs. Hell is the place to punish all sins not punished in this world. Justice has to be fulfilled. 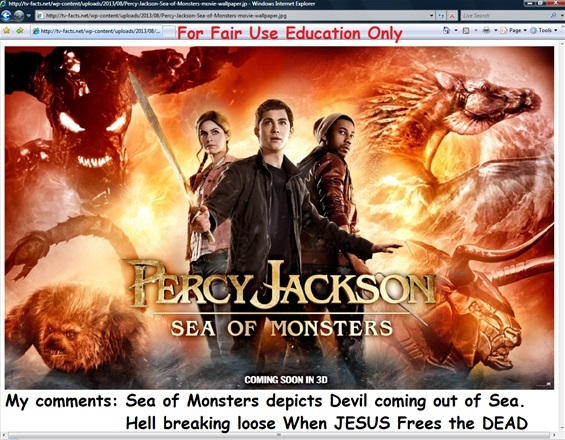 Who knows if God would release the sinners in hell after the punishment are fully paid? Jesus mentioned every farthing/mite has to be paid. Matthew:5:26: "Verily I say unto thee, Thou shalt by no means come out thence, till thou hast paid the uttermost farthing." Luke:12:59: "I tell thee, thou shalt not depart thence, till thou hast paid the very last mite." I believe some sins could never be forgiven and so can never be paid according to the Bible. Matthew:12:32: "And whosoever speaketh a word against the Son of man, it shall be forgiven him: but whosoever speaketh against the Holy Ghost, it shall not be forgiven him, neither in this world, neither in the world to come." Mark:3:28,29: "Verily I say unto you, All sins shall be forgiven unto the sons of men, and blasphemies wherewith soever they shall blaspheme: But he that shall blaspheme against the Holy Ghost hath never forgiveness, but is in danger of eternal damnation:"
Ecclessiastes:8:12: "Though a sinner do evil an hundred times, and his days be prolonged, yet surely I know that it shall be well with them that fear God, which fear before Him:"
Ecclessiastes:12:13: "Let us hear the conclusion of the whole matter: Fear God, and keep His commandments: for this is the whole duty of man."